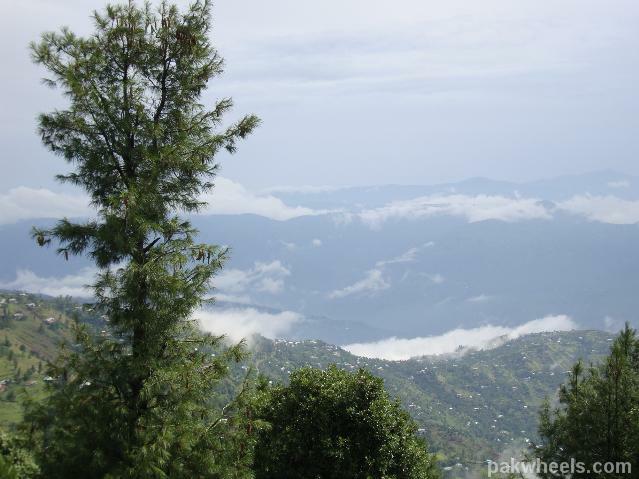 Thandiani, A beautiful picnic point near Abbottabad. It is some times known as Summer's Heaven because it remain Cold even in June and July. Thandiani is a Lush Green Valley. 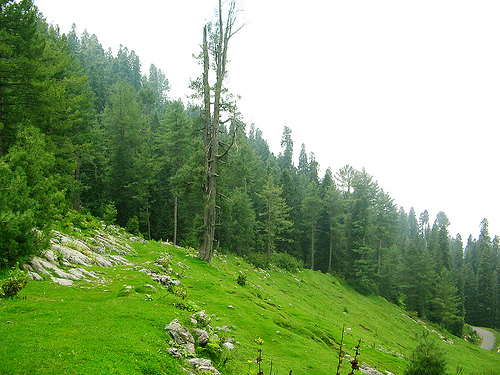 Thandiani is about 31 Kilo-meters From Abbottabad City at the foothills of Himalayas. To the east beyond the Kunhar River lie the snow covered mountain ranges of Kashmir. Visible to the north and northeast are the mountains of Kohistan and Kaghan. To the northwest are snowy ranges of Swat and Chitral. 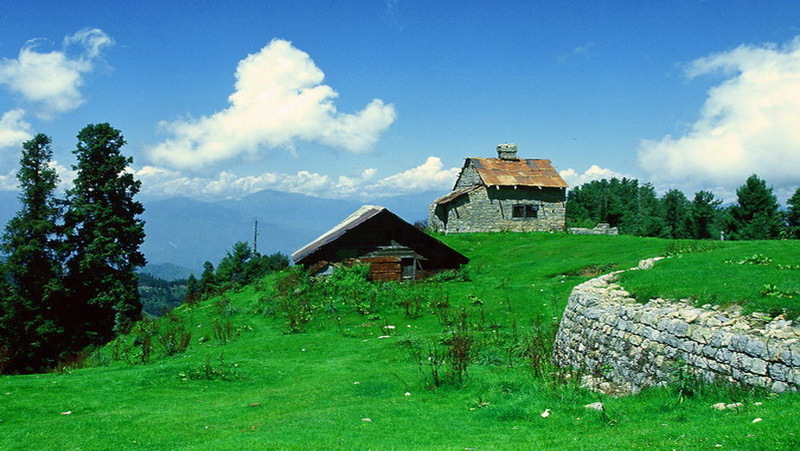 The hills of Thandiani are about 9,000 feet (2,750 m) above sea level. 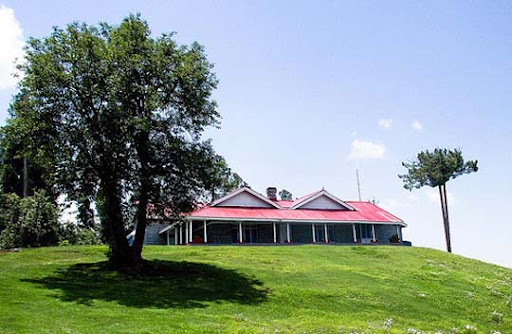 Thandiani was established as a Sanatorium during British rule, for the convenience of officers stationed at the neighbouring cantonment of Abbottabad, it contained some European houses and a small bazaar, which were occupied only during the summer months. Besides cold weather over there it has eye catching mountain beauty scenes from every side. Nature has such a wonderful attraction in it that you just keep staring at the mountains and you don’t get tired of it, you want to spend more time looking at it. It doesn’t have any rides or tourist stuff up there but a very good picnic point. The mountains around it are thickly forested. Local wildlife include leopards, monkeys, pheasants and the flying squirrel, to name a few. 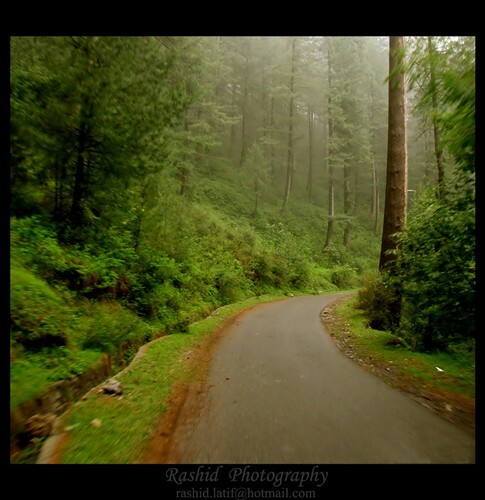 On the way to Thandiani you will surely enjoy the beautiful scenes, cold weather, and the lush green valley. Watch this Video to experience the Beautiful Scenes from Abbottabad to Thandiani. If you want to visit somewhere in summer do visit Thandiani. Hi everyone, it's my first go to see at this website, and post is in fact fruitful for me, keep up posting such articles or reviews. This post gives clear idea for the new visitors of blogging, that actually how to do running a blog. pay a quick visit this web page, it includes important Information. Best premium electronic cigarette in Pakistan. Find quality electronic cigarettes and e-liquids in Pakistan. Compare electronic cigarette price in Pakistan with Totally Wicked Pakistan Biggest e cig provider. Hum ap sub ko Free Rohaniilaj Center jahan Mulk k bohat he maya naz or marof hasti Salman Hussain Jaferi mojod hain jo pechla kahi salon sa ais kam sa wabasta hain or ya nasal dar nasal chalta aa rha ha. Ais liya jub b ap pa koi b muskil an para to Allah ko yad karan or 1 choti c ayat ha wo parhan. “La ilah alia anta subhanaka ini kuntum Zalimin” Ya bohat he makbol or azamaya hoya amal ha jis k parhna sa ap ki bari sa bari mushkil hall ho jaya gi.